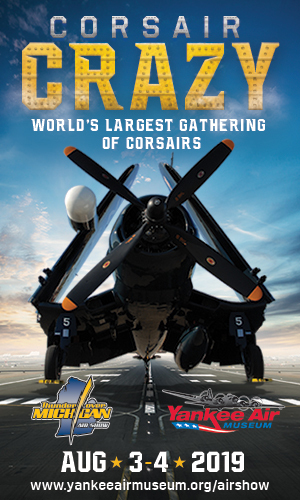 PRESS RELEASE – The Commemorative Air Force (CAF) Red Tail Squadron, America’s tribute to the Tuskegee Airmen, today announced their RISE ABOVE Red Tail spring schedule of outreach events that will take them to several spots in the eastern U.S., before their tour heads across the country in the summer and fall. 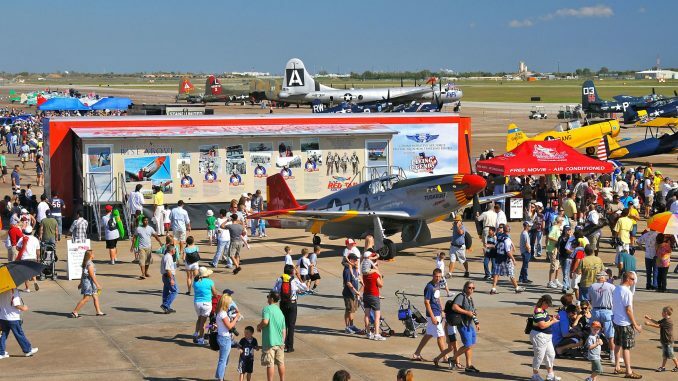 Their mission is to educate audiences everywhere about the history and legacy of the Tuskegee Airmen – America’s first black military pilots and their support personnel – and each event is a platform to share this inspirational message. 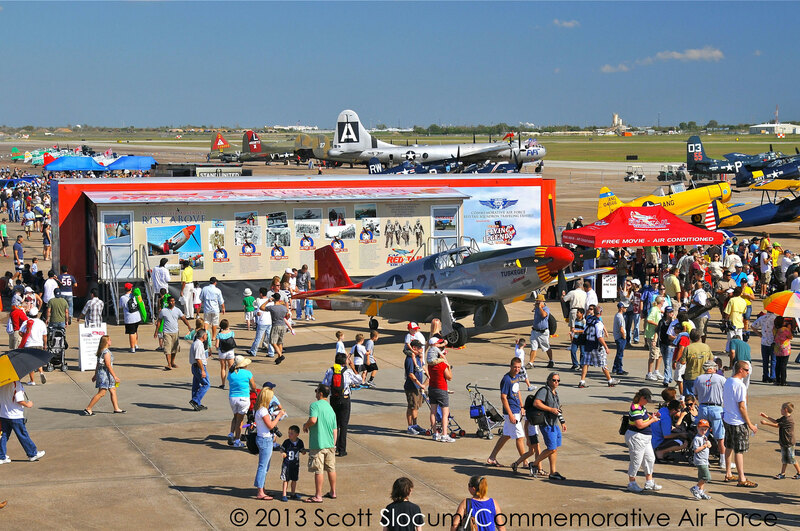 Although the P-51C Mustang Tuskegee Airmen will most likely not be on tour the remainder of the year after an incident earlier in February, the CAF Red Tail Squadron, along with support from other CAF aircraft and Mustang operators, will maintain their full schedule of events with their RISE ABOVE Traveling Exhibit. This mobile panoramic movie theater features the original film “Rise Above,” an immersive experience that creates the feeling of being in the cockpit and soaring above the clouds in a P-51C. It is a visually compelling and exciting way to learn about the Tuskegee Airmen’s triumph over adversity. Events are subject to change, and more are being added. For updated and detailed information, visit the group’s calendar at redtail.org/calendar. Entrance to the RISE ABOVE Traveling Exhibit is always free, although tickets may be required for entry to individual events. While on tour, the RISE ABOVE Traveling Exhibit makes additional visits to area schools where students are encouraged to think critically about the group’s Six Guiding Principles – Aim High, Believe In Yourself, Use Your Brain, Be Ready To Go, Never Quit and Expect to Win. 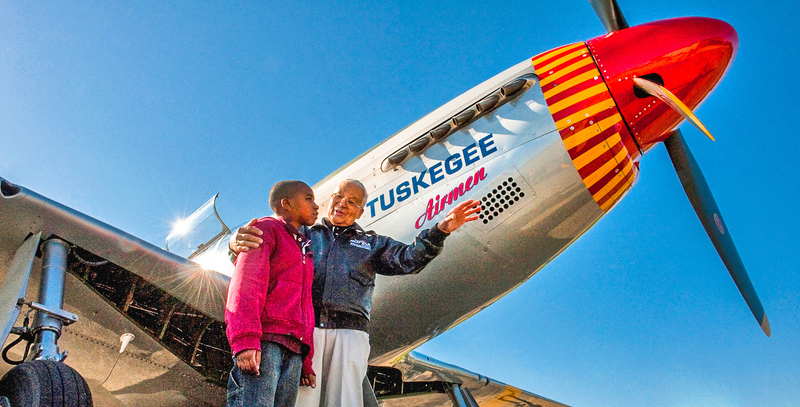 Contact Marvona Welsh, logistics coordinator, at marvona@redtail.org or (812) 240-2560 for information on how to bring your school, group or community organization to be inspired by the history and legacy of the Tuskegee Airmen. Individuals, businesses, community organizations and foundations that are interested in supporting the CAF Red Tail Squadron’s mission can learn more about sponsorship opportunities by contacting LaVone Kay, marketing director, at info@redtail.org or (888) 928-0188. One-time or recurring donations can be made securely online at https://secure.qgiv.com/for/crts or sent to: CAF Red Tail Squadron, 971 Hallstrom Drive, Red Wing, MN 55066.